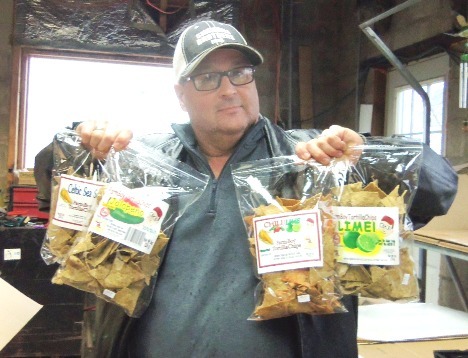 John Simmons, farmer from North Branch (semi retired) works with Dr. Brockreide growing the open pollinated organic corn to make tortilla chips. He is now also making the tortilla shells that are again available on the website. Yes things are growing in the hoop house right now, these pictures were taken today at White Pine Farm. Hiding under the covers is kale, turnips, Chinese cabbage and more, not hiding under the covers is spinach. During this time of year the plants are not doing much, they are waiting for the sun in the sky to shine long enough during the day and the temperatures to rise before they start growing again, that usually happens in the middle of February. Whetham Organic Farm is on vacation this week while they are doing some remodeling. Almar apple choices are dwindling, they are planting new variety of trees in their orchards, taking old dying trees down and pruning the trees so they will be more productive during the summer. Soy Free Eggs Finally Tiberg eggs are here. Christy Tiberg has been deligent in her quest to produce soy free eggs. Finally her chickens are producing and her eggs are available on the website. 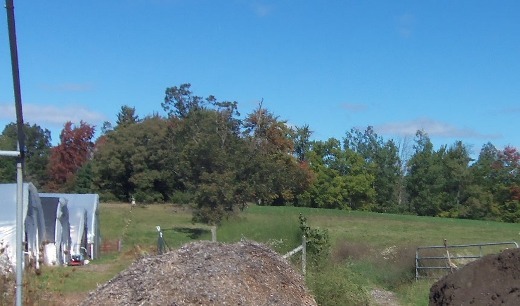 This small family farm is in Ottisville. Christy has been working with Dale from White Pine Farm and she has been helping us at CSA Market for some time now. White Pine Farm Beef is here and available for sale. The farm is Certified Organic, although they did not have their small herd certified. 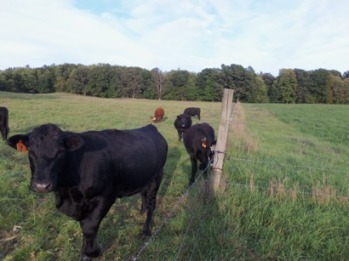 The animals were are 100% pastured fed, angus/hereford cross and raised organically. The picture above was taken in the fall of 2015. Winter Greens are here, some plants like mustard, pakchoi, turnips, spinach, lettuce and others greens love the cooler temperature fall has to offer. Whetham Organic Farm, Law Family Farm and White Pine Farm are now offering many of these delightful greens. The market is operated out of a building that was build right after my dad came out of WWII. It is a block building that looks like a barn and was at one time what we used to call “Dads Kingdom”. It has been transformed and still is being transformed. It has a walk in cooler, a green house attached to the front of it, a small ghetto office (that is what my son refers to it as-since it is made up of thrift shop items and pieced together whatever we could find), many upright coolers, freezers, a sink for washing produce and a large area where harvesting and packing occurs. Slowly we have been patching the cracks between the blocks on the walls and scrubbing and painting the floors. Each year Dale spends about a month cutting wood to heat three buildings of which this is one of them and it uses 3/4 or more of the wood. This year is the last year he will spend that much time cutting wood as we are going to finish insulating and buttoning up many of the air leaks in the building. Rather than to cut wood we bought wood so we can spend more time working on the building. Once these projects are complete Dale will be putting up another large hoop house for growing all those wonderful winter greens. The building right next to this one is what was once my studio. It is a small building which is well insulated and has a licensed kitchen which some of the growers use to make their goodies. Our MDA official wanted us to have a small warehouse area next to the kitchen so we are working on that as well. We have a large open area in this building and we hope to have programs in that area and possibly on the farm meals. Three of my printing presses still occupy that area and as soon as the bathroom and the warehouse area is completed we will able to access the open space. Anyone that wants can come visit us, peak into the hoop houses and take a tour of the farm. CSA Farmers Market is located on White Pine Farm. Me, My Health and Eyes. Patricia Aldrich is heading to to Florida for the winter. Her business will continue to be a pick up even through the winter months. Even through Patricia will be in Florida during the winter her business practice will continue on every aspect by means of Skype, email, mail and phone. She will also have a biweekly newsletter Via email and a website is under construction. She will have winter visits to Michigan to do in person consults. Because of her seasonal relocation, the CSA is in need of an alternative new delivery/pick up location in the Lake Orion area. If you know of a chiropractor, Natural Practitioner, Storefront that would be willing, please contact the CSA Farmers Market at 810-688-7442 or via email. 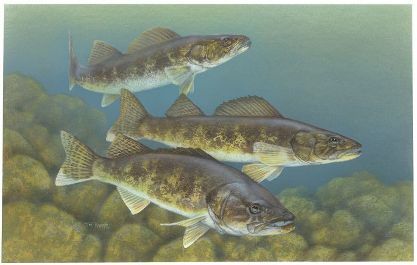 Walleye, Lake Trout (Char), White Fish and Perch are available again. The previous windy weather has made it impossible for the tribal fisherman to get on the great lakes to retrieve their fish. Not that the winds have died down they have harvested their catch and fish is again on the market. Winter Greens are here, some plants like mustard, pakchoi, tatsoi, turnips, kale, spinach, lettuce and others greens love the cooler temperature fall has to offer. Whetham Organic Farm, Law Family Farm and White Pine Farm are now offering many of these delightful greens. Kale after a frost becomes sweeter and stays sweeter until we have a heat wave. It is the time of year that the growers close up their hoop-houses to protect the plants from the frost. Also the ground is being worked so that fall cover crops can be sowed and plowed under next spring to help add organic matter to the soil. Inside work continues as we prepare for new plantings, in one hoop house all the beds are changing direction so that we can do smaller plantings more often and more variety. The clover is actually a cover crop, it is good for the bees and beneficial insects as well as it competes well with unwanted weeds and adds nutrients to the soil. As always it is nice to see the periodic 4-leaf clover, as often time farming seems like luck when we are at the mercy of the weather. Mix meat, soy sauce, sherry, and cornstarch or arrow root powder in a bowl. Heat 1 tablespoon vegetable oil in a large skillet or wok over medium-high heat; cook and stir frozen stir-fry mix, and garlic for 2 to 3 minutes. Add chicken broth, cover, and simmer until vegetables are tender, 4 to 5 minutes. Transfer vegetables and sauce to a large bowl and wipe skillet clean. Heat remaining 1 tablespoon vegetable oil over medium-high heat; cook and stir meat until no longer pink in the center, about 5 minutes. 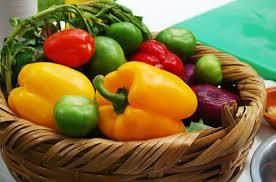 Stir in vegetables; continue to cook and stir for 2 to 3 minutes more. Sprinkle with green onions. The cabbage butterfly are still hanging out, they are a wonderful creature to watch as they bounce from plant to plant looking for a home for their eggs. I actually enjoy watching them and if it wasn’t for the evil activities of their children (caterpillars) eating and pooping on the cabbage, kale, broccoli, brussels sprouts and other plants we would let them alone. Next year we will have to release some natural predators of these butterflies. Ducks on the pond, they are not real ducks, just fake ducks marking areas where the pond is being aerated, the aeration improves the water quality for irrigation as well as it helps fish to survive over the winter. We are pleased to announce that Nature’s Better Way in Metamora as a new pick up location. 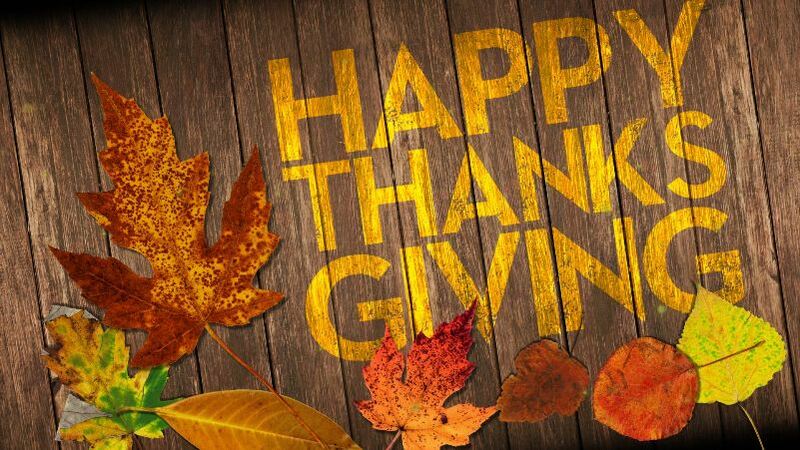 If you live in the Dryden or Metamora area you may find their store a perfect location. It is a Herbal Vitamen Shop on the North West corner of M-24 and Dryden Rd. Thank You to Judy and Chuck Erkfitz owners and operators of this store. Me, My Health and Eyes. Patricia Aldrich is heading to to Florida for the winter. Her business will not be available as pick up location during the winter months, from Dec 4 until sometime in the late spring early summer. Her business practice will continue on every aspect by means of Skype, email, mail and phone. She will also have a biweekly newsletter Via email and a website is under construction. She will have winter visits to Michigan to do in person consults. Because of her seasonal relocation, the CSA is in need of an alternative new delivery/pick up location in the Lake Orion area. If you know of a chiropractor, Natural Practitioner, Storefront that would be willing, please contact the CSA Farmers Market at 810-688-7442 or via email. October already and no spectacular Michigan Fall Colors, that is because we have had no frost. Farmers and gardeners alike are very happy about that. Even in the Upper Peninsula the trees have not changed their colors yet. Oddly since it has been a cool summer the corn and other crops grew slowly, fortunately this extra boost has provided the needed time for corn, dry beans and other crops to grow to maturity. 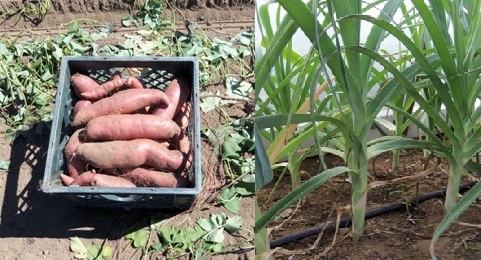 The sweet potatoes were dug about two weeks ago, the leeks are in the protected hoop-houses. When the frost does arrive many crops continue to grow outside the hoop houses. Some crops like kale taste much better after a frost, the plants survival response causes it to absorb all the sugars from the root to the leaves making it so yummy. The delayed frost is giving the pastured animals more fresh pasture than in normal years. All the farmers on the market pasture their animals, these pastured animals tend to grow slower compared to corn fed animals. For the consumer these animals provide healthier food, which is what nature intended for us to have. This is a picture of White Pine Farm beef, which in the next month will be available for purchase on the website.